It’s time to go full circle and share with you our learnings on youth participation over the past three years. If you’re working in youth development or you’re part of a start-up that’s building a cross-disciplinary wellbeing/mental health intervention, read on! 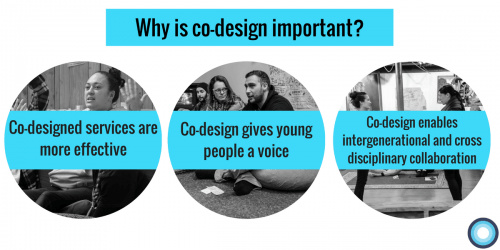 There might be some useful gems in here to help support safe, ethical and functional co-design methods that enable meaningful youth participation. This is a longer blog post, and it’s designed for you to apply it to your work. We introduce five participation principles to consider when co-designing alongside young people. The best learning is active and relevant to the challenges you’re working on. So you might want to print it out and take an hour to work through the principles. If you want to do that with your team, check out the slides we used in the 2017 Flourishing Fellowship here to apply the principles to interviews. A big mihi to Paul McGregor (Lifehack) & Dougal Stott (Moana Creative) for supporting the development of this blog post! Thanks also to all everyone in the Lifehack team eco-system who has helped shaped to this kaupapa over the last four years to the point it’s at today. 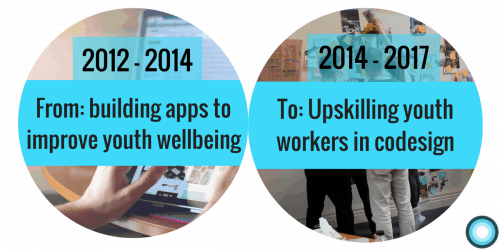 Back in 2014 we were exploring how to leverage social media and apps to improve youth wellbeing in Aotearoa. Three years on we have expanded our focus to building capability, opportunity and motivation in the youth workforce (in the broadest sense) to co-design alongside young people. Lifehack sits at the intersection of wellbeing science, design, technology and social entrepreneurship. Some of our biggest learnings have come from taking tools from one world and applying them in a different context. Co-design methods are just but one of those method sets – one that has allowed us to learn some creative ways to enable youth participation. What is co-design in wellbeing? Co-design, for what it’s worth, is an all encapsulating term that refers to “designing something alongside the people who will use it”. Similar concepts in other disciplines might be known as client-centred care in a health context or co-creation in an education context. Co-design as a methodology (i.e. a way of doing) gives opportunity to those will benefit from something to be involved in its design. Co-design processes give voice to multiple stakeholders (including young people), through sharing their experiences and thoughts in a structured and safe process. You’ll be able to have a deeper understanding of a young person’s lived experiences … enabling you to design something more tailored to your audience. A great place to start is Ara Taiohi’s Code of Ethics for Youth Workers. Familiarise yourself with this set of ethics as they will enable you to create positive conditions for wellbeing and engagement with the rangatahi you serve. Next, choose just one aspect of your work where you’re looking to co-design with young people. It’s a good idea to narrow down the opportunity that’s ahead of you. Here are three possible ways you might do this. Tahi: Complete a Social Lean Canvas. You can check out our blog post about how to do that here or access the template here. Rua: Complete an Opportunity Definition canvas, which we adapted from the DIY ToolKit for a youth wellbeing context by making it strengths based and relational. Toru: Use the Ideo design kit to frame up your challenge. You’ll find a runsheet and associated resources over at Ideo. These tools are designed to clarify the opportunity you’re exploring. Don’t seek perfection. Just get the ideas out of your head and onto paper! Before you get to the humans, you need to figure out how you’ll get the humans to participate in your process. User Interviewing: we’ve put together a sweet little post about that here. You can also use the Question Ladder (by DIY ToolKit) to help craft your questions. Surveys: use something like Google forms or Typeform. You can read about how we used Typeform in the recruitment and co-design of content for the 2016 Fellowship over here on Medium. Full on design challenge, like the one we hosted with Massey University in 2015. If you’re keen on this you can access all the resources here. If you’re new to co-design, it might be easiest to start with a survey or some user interviews before getting more creative with your methods. How do I co-design with rigour and safety? 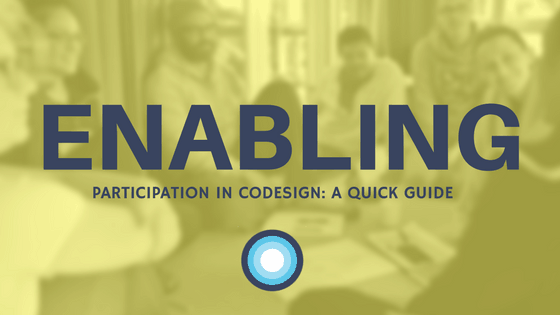 This section will provide some tips and tools to enable people to meaningfully and actively participate in the co-design methods you choose. These concepts ring true no matter what method you choose. It’s also important to mention that these principles are not exhaustive; depending on your background and discipline you might have additional ones to add. Without further ado, let’s jump in and explore them. This section has been written in collaboration with Dougal Stott (Ngapuhi, Ngati Tuwharetoa me Ngaitewhatuiapiti). Dougal is a 2016 Flourishing Fellow and director of Moana Creative. You can check out some of his work here. 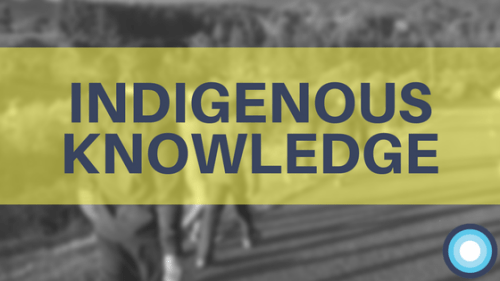 It is important to recognise, celebrate and incorporate indigenous knowledge into your co-design methods. Co-design is place-based. Co-design in Aotearoa New Zealand will look and feel different to the methods you choose in Fiji, England or the United States. In Aotearoa New Zealand, this means integrating te ao Māori into your practice. Whanaungatanga (relationship-building) is essential. Establishing trust is the underlying purpose of whanaungatanga. You need to show your intentions come from a place of aroha (love). Give everybody a chance to share their stories and knowledge. If you awhi (acknowledge) them, they’ll be able to bring their full wisdom to the table. Without whanaungatanga (translated to english as “relationships”) co-design is near impossible. There are three concepts which make up how we whaka whanaungatanga (the action of building relationships). 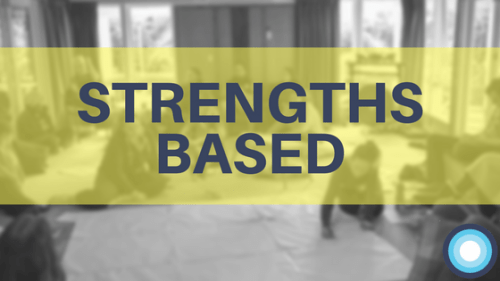 Having Tika, Aroha & Pono at the core of your practice will enable you to build a mana-enhancing opportunity for rangatahi young people. If you are unsure, find someone to facilitate that initial process and ensure to keep them in the loop with how things are progressing. Aroha is about acknowledging the uniqueness of every relationship. They are all different and it can be a hard lesson understanding that not everyone connects in the same way as you. How are you upholding positive relationships with individual, whānau and others? How do you demonstrate empathy and enhance people’s mana? Pono is about sincerity and honesty. Most young people can sniff out any self-serving attempts to connect from a mile away. How do you plan to whakawhanaungatanga in genuine ways? If you find yourself thinking that, just ask yourself what would happen if you don’t build those relationships. It’s a reciprocal process. We can be guilty of focusing on our needs, what we need to achieve. But if you don’t give people time to build trust, then they might hesitate to share their real thoughts, fears and hopes with you and the rest of the group. If you only have a few hours, you might need to be thinking about you need to do before the co-design session to enhance the relationships. How might you incorporate more whanaungatanga beforehand? Having an extra pair of eyes at any co-design session can be helpful to highlight blind spots and surface assumptions. And to awhi you that it’s ok not to know it all or get it right. You have multiple responsibilities when you manaaki (host) someone to talk about their experiences and seek their feedback. 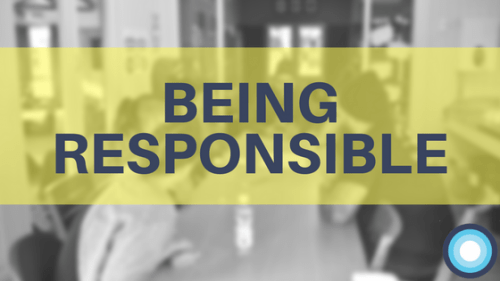 Take the time to consider your responsibilities as the host or facilitator. It’s important for your own wellbeing and the success of your project. As a minimum, you need to ensure you’re doing no harm. You need structures in place before, during and after the co-design session make sure this minimum standard is met. Be responsible in your recruitment. If you send out a call for participants, and then need to decline applicants, how might you go about that? Be deliberate and careful about who you choose to involve. What’s the invitation for people? What’s helpful for them to be prepared? Who might they bring with them to feel comfortable? Who else needs to be in the loop? Are there other organisations who might back you to run this activity? Consider who you can partner with. When we ran Oro, the Upper Hutt Community Trust hosted us and held the duty of care for young people while Lifehack facilitated the space. We formalised this in writing, which helped us create processes that kept young people safe. And what about parents and legal guardians? If your co-design participants are minors, you’ll need to involve them right from the outset. Managing risks. If you are serious about your responsibility, you can create a risk register. Check out our example over here. Be clear on the legal parameters that will keep you in check; especially in regards to the Vulnerable Children Act and the Privacy Act. Check out our blog post on the Vulnerable Children Act here. Keeping yourself safe. When you’re designing a wellbeing intervention, you might be asking people to talk about challenging experiences. You need to have habits and plans in place to keep yourself in a good headspace. It’s good practice to facilitate in pairs, and have a runsheet and kawa (behavioural guidelines) set ahead of time. Helping your participants to stay safe. During the session, what are your responsibilities to the people you’re engaging with? Whta behaviours are you modelling and permitting? What are you doing with the information they disclose? And how is that going to be looped back to them? If you’re touching on subjects like low-mood, psychosis, depression, alcohol or drug use… who are the people or organisations you might link into so young people can tap into their services? Let’s say you’re employed as a youth worker and you want to interview a 13 year old about their experiences in school sports. You’re looking to integrate sports into a school holiday programme. Here are some of the questions you might need to ask yourself. How do you gain consent and what are your responsibilities under the Vulnerable Children Act? If they disclose something which puts them or someone else at risk of harm, what is your responsibility to act? What practices do you have to keep their data private and confidential? What are the expectations and associated responsibilities to your employer; are there tensions here? What structures are in place to support that young person if they are triggered or are in distress? Framing experiences that enable people to bring their strengths to the fore and to be open about what they find challenging will go a long way to building healthy relationships and help you understand their needs. Engaging in a co-design process is an intervention in itself. We say this because this is your opportunity to role model positive adult behaviours, share knowledge/ako. Don’t underestimate the power of listening to a person’s experience! Think carefully about the questions you are asking and reasons for them. There are some great tools out there like the Question Ladder (by DIY Toolkit) that can really help structure the questions. Collaboratively, set some clear kawa that sets the boundaries for you and the young person. You are employed as a youth worker and you want to interview a 14 year old about their experiences in an after school care programme, as you are looking to integrate sports into a school holiday programme. How does your process (from recruitment to summary and beyond) acknowledge the various strengths of the participant? If a parent asked you how you were adhering to the Vulnerable Children Act, what organisational policies would you point them to? What is the mutual benefit here? Sure, you’ll get some information but what does that young person get from talking with you? How are you demonstrating the value that this young person is bringing into the kōrero? Who is the expert here? In all likelihood, there are multiple experts – some of whom might give contrasting information. 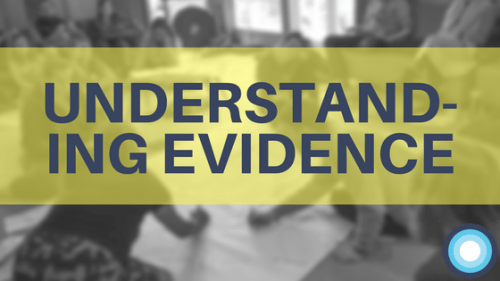 We’ve identified five sources of knowledge to consider when you are looking at the evidence for what you are doing. The five ways we come to understand knowledge and points of reference when creating participatory processes in co-design. Mātauranga sits across all quadrants as the acknowledgement that we all have intrinsic knowledge and wisdom. Each of us have our own understanding of everything visible and invisible in the universe. So we need to give people space to voice and share that wisdom. Ko wai au? Who am I? If you’ve experienced the challenges you’re seeking to address, you need to understand your own assumptions. Your lived experience is only one view of this challenge/idea/context. More often than not, we get involved with something in the wellbeing space because we have a personal connection. In the wise words of Ice Cube, You better check yo self before you wreck yo self. Ko wai koe. Who are you? Other people’s lived experience can be just as valid as any academic knowledge. Be respectful with what people tell you. We know that within four walls of offices so much is not written down. Every organisation has a culture; an unwritten way of ‘doing things around here’. Through partnership and collaboration you might be able to surface some of that knowledge and apply it in your work. This includes literature, statistics, existing research projects, reading journals. You should also familiarise yourself with strategic documents, such as the Suicide Prevention Strategy, New Zealand Health Strategy and Sport and Recreation Strategic Plan Auckland Council. This is the most concrete principle. How do you design a space where people can meaningfully participate? Consider your physical space. Can people get there easily? Is there access to public transport? Is it wheelchair accessible? Food is a big one! Do you have food available that people can eat? Have you considered dietary requirements like vegetarian, gluten free, Halal etc? Food is such a huge part of manaakitanga and hosting. Is it appropriate for age and stage? Talking to a 7 year old versus an 18 year old. No doubt the conversation will be a bit different. Tikanga. We always invite participants to co-create the kawa (protocols and agreed behaviours). This sounds fancy, but it’s not. It might be as simple as having a big sheet of paper on the wall with a question like “What behaviours would help you to participate fully in this space?” People can then put sticky notes beside the question, which you then collate and share back. Information afterwards. If you are conducting an interview, how might you loop that info back? Notes? Meet them again? Start coding the ideas? 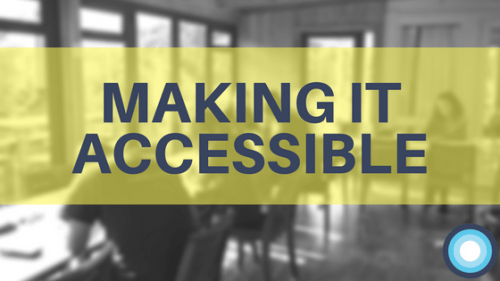 How are you going to make support accessible to people? If the work stirs up an upset reaction in somebody, what have you setup ahead of time for people to link into for help? You don’t have to offer support directly if that’s outside of your scope of practice instead, you can refer them to a service or person that has appropriate skills. Core to all of this is whanaungatanga, relationships and setting up kawa (and boundaries) ahead of time. Good relationships don’t just happen. They are built through reciprocity, manaakitanga, and respect. They take time. Much like when you’re designing spaces for young people to engage in a co-design process. Go forward and co-design safely and with integrity! If you are an adult working in youth wellbeing, you probably have lots of opportunity to bring youth voices into the design and development of the things you are involved in. We hope through reading (and applying!) this blog post you have a few more tips and tricks to try in your own practice. Remember to always follow your instincts, be guided by your discipline’s code of ethics (eg Youth Workers, Social Workers and Teachers) and ensure the wellbeing of young people is at the heart of all you do! If you want to work through these concepts in your organisation, check out the slides we used in the 2017 Flourishing Fellowship here.